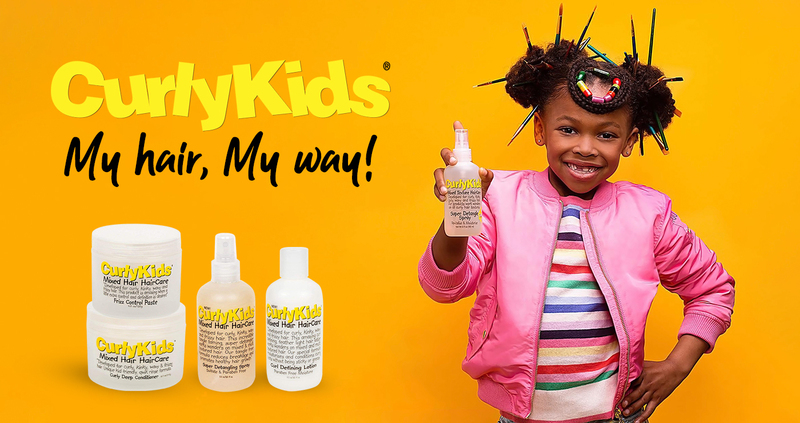 Curly Kids is a quality haircare range specially formulated for kid’s hair suitable for all hair types and races. As the name suggests, the Curly Kids range is more suitable for kids with curly, wavy and frizzy hair and makes the hair more manageable. The curly kid’s product range includes shampoos, conditioners, detangles, moisturizers and many more. Curly kid’s hair products are sulphate and paraben free, also containing most effective ingredients to handle specific needs of kid’s hair.